A tree species having a unique stem morphology has been found to grow at Sam Poo Kong temple, Gunung Batu, Semarang city, and at Pager Wunung Darupono Conservation Park, Central Java, about 30 km away from the temple. Based on plant key reference identification the name of this tree species is Bauhinia scandens Willd, a liana from Leguminosae family. This species has a local name of ‘pohon rantai’ due to the chain shape of the stems. It flowered in August and the fruits matured in October. In vitro germination of the seeds collected from the Conservation Park was not successful and only one out of 30 seeds germinated in vivo after 12 weeks. Further studies should be conducted on conservation and propagation of this unique species. BKSDA Jawa Tengah. 2009. Buku Informasi Kawasan Konservasi. Balai Konservasi Sumber Daya Jawa Tengah, Semarang, Indonesia. Chatan, W. 2013.A new species of Bauhinia L. (Caesalpnioideae, Leguminosae) from Nakhon Phanom Province, Thailand. PhytoKeys 26, 1-5. Ding Hou, K. and Larsen, S.S. 1996. Caesalpiniaceae. Flora Malesiana. Spermatophyta 12 Part 2. 409- 730. Filho, V.C. (2009). Chemical composition and biological potential of plants from the genus Bauhinia. Phytotherapy Research 23, 1347-1354. Giri, C.C., B. Shyamkumar, dan C. Anjaneyulu. ( 2004). Progress in tissue culture genetic transformation and application of biotechnology to trees: an overview. Trees 18, 115-136. Hazra, A. G. and Chatterjee, P. 2008. A nontoxic anti-tumour compound from the leaves of Bauhinia scandens characterized as 1-O-alkyl glycerol by gas–liquid chromatography and evaluation of its antitumour property by Brine Shrimp bioassay. 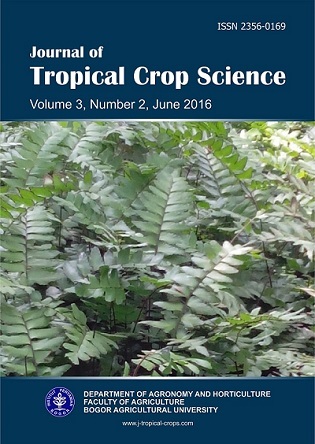 Industrial Crops and Products 1, 39–43. Lau, P. (2003). Reproductive biology of Bauhinia (Leguminosae: caesalpinioideae) in Hong Kong. (Thesis). University of Hong Kong, Pokfulam, Hong Kong SAR. http://dx.doi.org/10.5353/th_b3124551. [May 1, 2016]. Lin, Y., Wong, W.O., Shi, G., Shen, S. and Li, Z. 2015. Bilobate leaves of Bauhinia (Leguminosae, Caesalpinioideae, Cercideae) from the middle Miocene of Fujian Province, southeastern China and their biogeographic implications. BMC Evolutionary Biology 15, 252-259. Muljana, S. (2005). “Runtuhnya Kerajaan Hindu-Jawa dan Timbulnya Negara-negara Islam di Nusantara”. PT LKIS Pelangi Aksara. p. 61. Sari, R., Ruspandi and S. R. Ariati. 2010. “An Alphabetical List of Plant Species Cultivated in the Bogor Botanic Gardens, Republic of Indonesia”. Indonesian Institute of Sciences Center for Plant Concervation Bogor Botanic Garden. pp 40-41. Setiakusuma, P. (2006). Klenteng Agung Sam Poo Kong (The Great Temple Sam Poo Kong, in Indonesian). Sam Poo Kong Foundation, Semarang, Indonesia. Sinou, C., Forest, F., Lewis, G.P., and Bruneau, A. (2009). The genus Bauhinias. l. (Leguminosae): a phylogeny based on the plastid trnL–trnF region. Botany 87, 947–960. Van Steenis, C.G.G.J. (1981). “Flora untuk Sekolah di Indonesia”. Pradnya Paramita, Jakarta. Ying, L.P. 2003. “Reproductive Biology of Bauhinia (Leguminosae: Caesalpiniodeae) in Hong Kong”. Thesis. University of Hong Kong. Tjitrosoepomo, G. (1994). “Taksonomi Tumbuhan”. Gadjah Mada University Press, Yogyakarta.